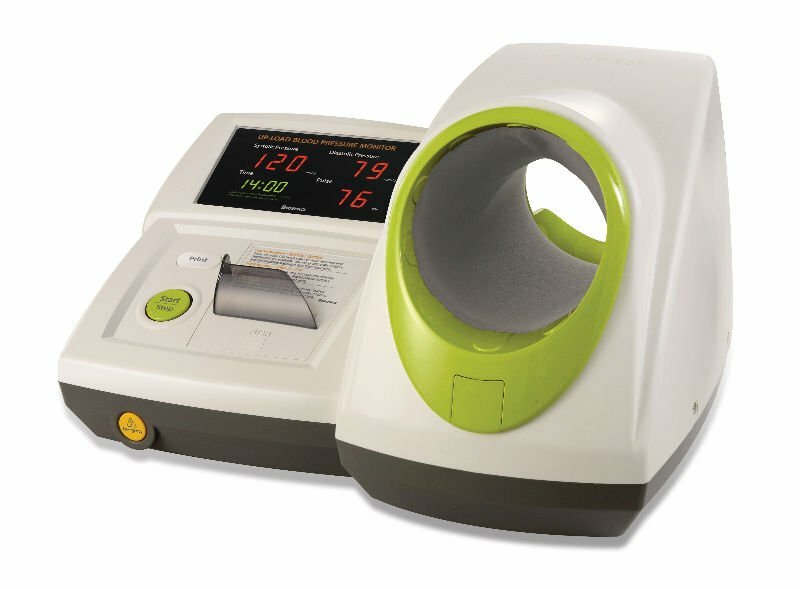 Professional Blood Pressure Monitor is easy to use with a durable design that includes a built-in handle making the monitor easily portable. It's designed for use in professional settings and is clinically proven to produce fast and reliable results. ranging from 12 cm up to 50 cm. R1 shock-proof®.! Made in Germany. เส้นรอบวงแขนที่สามารถวัดได้ 20 – 34 ซม. - ขนาดผ้าพันแขน Fit Cuff เส้นรอบวงแขน 17-36 ซม. และ ผ้าพันแขนเป็นแบบขด สามารถยืดออก ได้ถึง 3 ม.
Auscultatory blood pressure measurement without mercury. Manual sphygmomanometer with an easy to read liquid crystal display. Lifetime counter function shows the number of hours the device has been in use and helps to determine when service is necessary. User adjustable deflation using thumb wheel. Vertical LCD display is easy to read and graduated just like a Mercury column. When a measurement is completed patient pulse rate is displayed.